What’s the role of counseling in quality of life and how are counselors exploring virtual service delivery? Avatar of Dr. Christine Karper: "Storm"
Virtual Ability welcomes Dr. Christine Karper and Michelle Stone, members of the American Counseling Association’s Cyber Task Force to the 2014 Mental Health Symposium held in The Sojourner Auditorium in Second Life®. Their two-part presentation will discuss how counseling impacts quality of life for people with and without diagnosed mental illness in an interactive presentation that explores utilization of virtual world service delivery for counseling supports. With long-time experience in virtual worlds, the presenters will carefully consider both potentials and cautions of professional service delivery within a virtual environment. Dr. Christine Karper, Ph.D., known as Storm in Second Life®, will discuss a paradigm shift in the role of the counselor that focuses on quality of life over alleviation of symptoms. She will discuss treatment strategies for overall well-being, as well as interventions aimed at assisting individuals to have a better quality of life. Dr. Karper obtained her master’s in mental health counseling and her doctorate in counselor education and supervision from the University of Central Florida. She has been serving the Central Florida Community as a clinician and a counselor educator for over ten years. As a clinician, Dr. Karper has developed a specialty area in depression and anxiety disorders and utilizes cognitive-behavioral therapy, creative arts therapy and adventure-based counseling. She also enjoys assisting individuals in stress management and in developing means of coping with diverse life challenges by incorporating alternative healing modalities and mind-body-spirit approaches. She has presented both nationally and internationally and has published articles in several journals in counseling, psychology and technology. Currently, Dr. Karper serves as the Area Chair for Psychology Programs at the University of Phoenix, Central Florida Campus. She teaches graduate and undergraduate courses in counseling, psychology and the health sciences and integrates blended formats, fully online and face to face. She also works in program development and faculty development and is a subject matter expert in curriculum development. Her research interests involve the use of technology in the classroom, the use of social media as a diagnostic tool in counseling, and the impact of virtual worlds in counseling. Ms. Michelle D. Stone’s portion of the session will focus on the ethical use of virtual worlds in service delivery. Ms. Stone has extensive experience working with a variety of populations within the context of a community-based non-profit setting. She is currently the Family Services Director of Lake Wales Care Center in Florida. Her educational background merges the two fields of social work and psychology and it is in this shared space that her interest in computer-mediated human interaction has emerged. 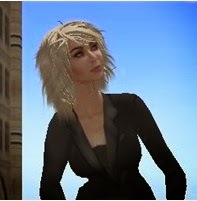 As a resident of over five years in the virtual world of Second Life®, Ms. Stone has viewed firsthand the benefits and challenges of professional service delivery in a virtual environment. Her practical experience fueled her research and subsequent professional presentations regarding the use of virtual worlds and social media for the purposes of assisting those in need. Download Dr. Christine Karper’sCurriculum Vitae and list of publications. See 2014 Mental Health Symposium schedule.